Who the heck is Boston Marathon runner-up Sarah Sellers, anyway? 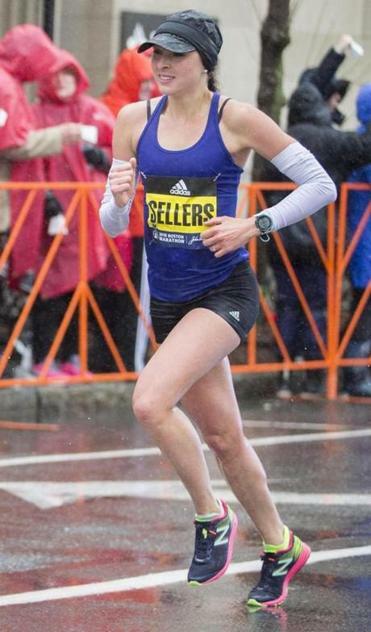 Sarah Sellers of the United States crossed the Boston Marathon finish line in second place with a time of 2:44:04. Desiree Linden stunned the nation when she became the first American woman to win the Boston Marathon in 33 years on Monday. But as Linden soaked up the glory, many spectators had a burning question: Who the heck is Sarah Sellers, the American who finished second in the race, about four minutes behind Linden? At first glance, Sellers seemed to have a low profile on social media (although there does appear to be a country music singer by the same name), and Google searches of her name turned up little to nothing. She was not identified in many photos moved by wire services on Monday, and several breaking stories mentioned her just once — to note that she finished second. But who is Sarah Sellers?? Asking for a friend, and basically a nation? Is Sarah Sellers a country music star? And the 2nd place winner of the Boston marathon? I?m doing some minor stalking. So uh, who is Sarah Sellers? Before today, I had never heard of Sarah Sellers. She has now finished second in Boston in a PB (!!!) of 2:44:05 in what was her second marathon to date. Sarah Sellers is second place for the women. We'll have more information on her shortly. Like many other outcomes today, it isn't what we expected. Sellers — née Sarah Callister — is a 26-year-old full-time nurse working in anesthesiology at Banner Health Center in Arizona, her husband, Blake Sellers, told the Globe in an interview on Monday. The Boston Marathon was just Sellers’s second marathon. The first was the Huntsville Marathon in Utah, which she ran as a qualifier for Boston and won, her husband said. 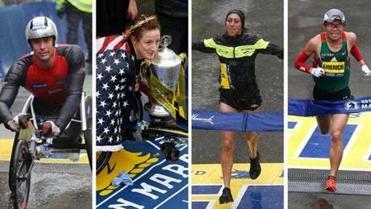 From the wheelchair division to the elite runners, here’s a look at winners and results from Monday’s rainy Boston Marathon. She didn’t know that she placed second in the Boston Marathon, he said, until someone informed her after she crossed the finish line. “Someone had to tell her, and she still didn’t believe them,” he said. In an interview with the Globe, Sarah Sellers said the whole thing felt “surreal,” and that she at first didn’t think she actually came in second overall. 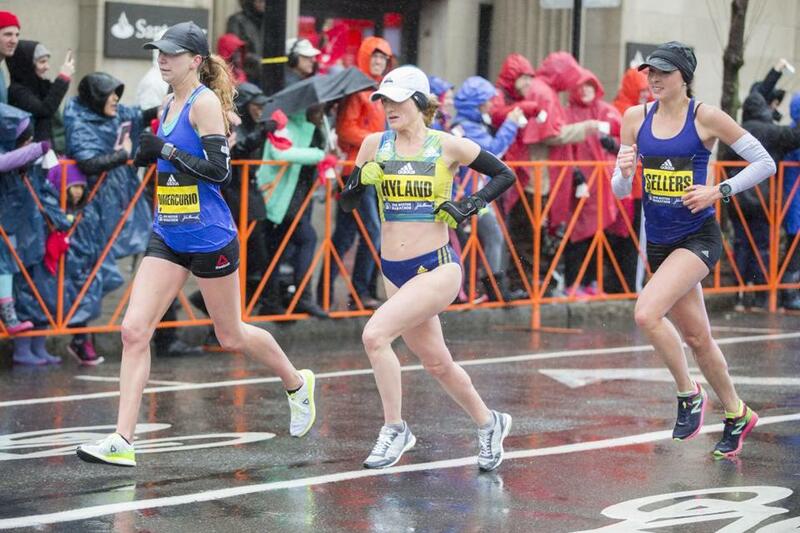 Sarah Sellers (far right) during the Boston Marathon in Brookline. Also pictured are, from left, Nicole Dimercurio and Rachel Hyland. Sellers qualifies for the prize money — which, for second place, is $75,000, a Boston Athletic Association official told the Globe Monday night. So how does she plan to spend the money? Sellers plans to go back to work in Arizona on Wednesday, and laughed when she was asked if she planned on quitting her job to focus on running full-time. Blake Sellers said he accompanied his wife to Boston — as well as her parents and her brother, who also ran the marathon — and saw her shortly after she finished. He said that his wife has been waking up at 4 a.m. to get in her training runs before working full shifts at the medical center. “She works super, super hard,” he said. 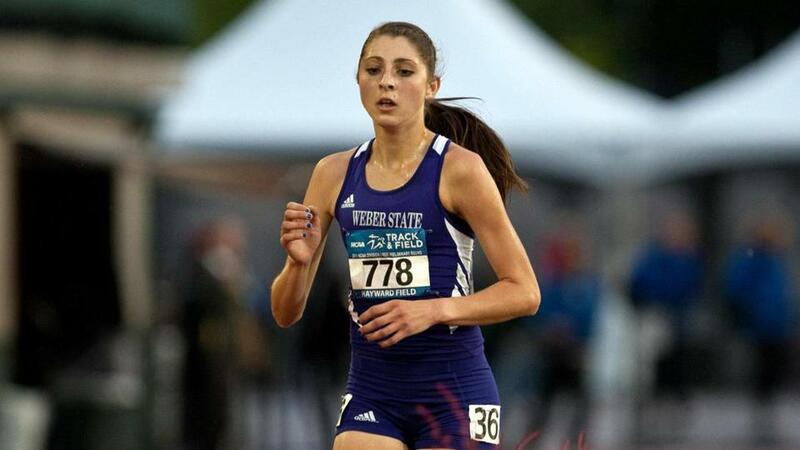 Sarah was a long distance runner as an undergraduate student at Weber State University in Ogden, Utah. Blake said Sarah was hoping to place in the top 15 of the Boston Marathon and to qualify for the Olympic trials. Sarah Sellers, nee Sarah Callister, at Weber State University. Her college running coach, Paul Pilkington, said Sarah overcame another obstacle: As a senior about five years ago, she broke a bone in her foot. Sarah herself acknowledged that after her foot injury, she didn’t run a step for a whole year. “The one thing about her college career, that I was upset as a coach, is she should have been an NCAA All American, but she had a broken foot,” he said. A statement on Weber State’s website also touted Sellers’ college running career. She had a 4.0 GPA in college, and majored in nursing, according to the school. According to The Running Shop in Tucson, Sellers popped by in February to buy her running shoes before the race. The pair she ended up buying? New Balance 1400s — for a relatively low price of about $90, according to Geoff Schmidt, a shoe fit specialist at the store. Lucas Tyler, a manager at the shop, said Sellers was very nonchalant while talking about prepping for the Boston Marathon. Tyler also said that Sellers appeared to take training very seriously, but her tone was light in the store. And as her story rocketed around the Internet on Monday, Sellers said she was still in shock. However, she said she could understand why so many people could relate to her triumph.